Fantastic! THANK YOU FOR THE MANUAL .EXE!!!!! You rock, great work! I shall donate soon. I would love to see this on Google Chrome, Safari too any chance you’d consider porting this to it?????? Great addon. Could you please add the option for deleting Temp images that are stored by this addon? Hi! 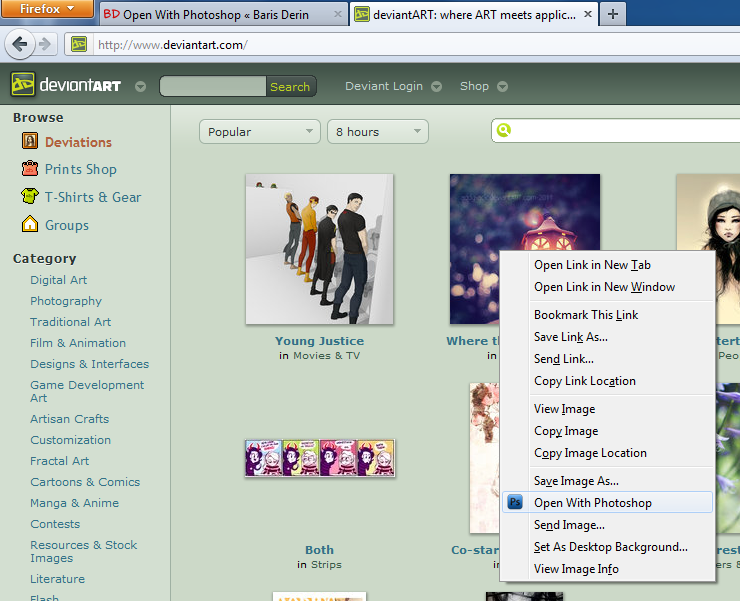 I like your Open With Photoshop plugin for Firefox! Congrats!! Are you going to update this program so it will point to Adobe Photoshop 6? I love this extension and want to thank you. 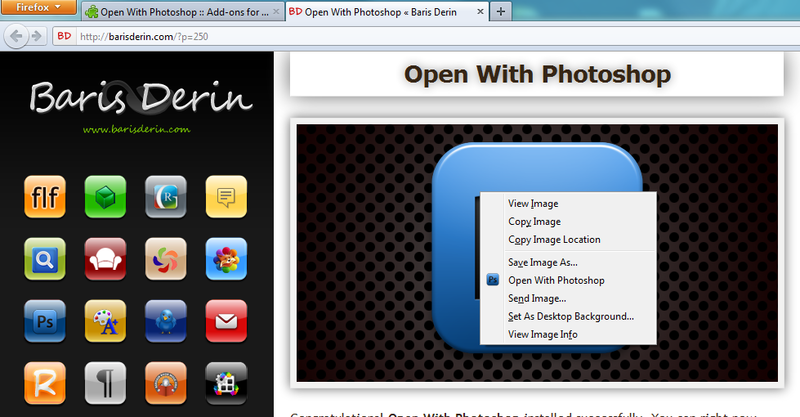 I am running Win7 x64 and would like to know if there is a way to set which version of Photoshop it opens? As it is it opens the x64 version. Nice little tool! 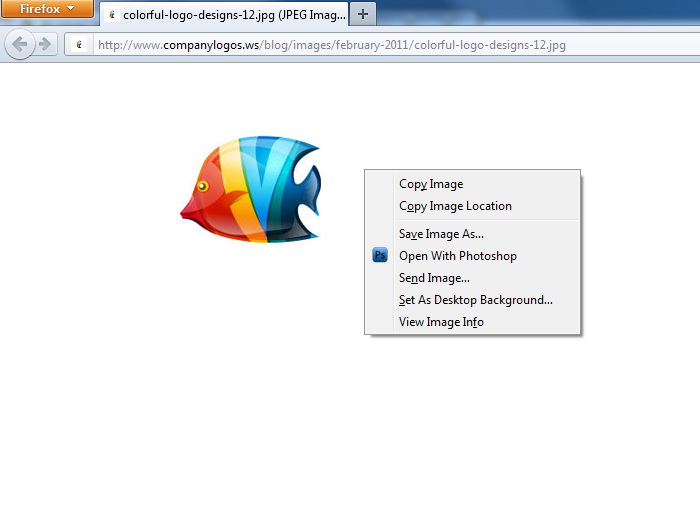 Any chance of having the same thing for Chrome? A must have extension for any designer. Improves on workflow with a simple right click. Would love to see this ported to chrome if its possible as well. Thanks for this excellent tool. 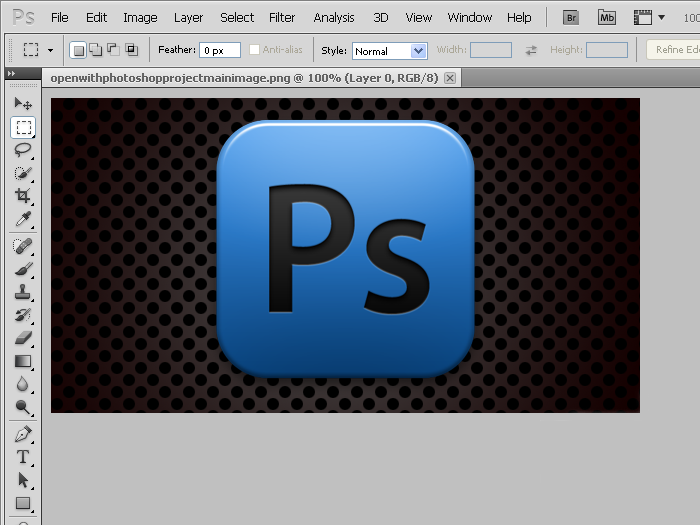 I have fully satisfied with your photoshop editor software and thanks!